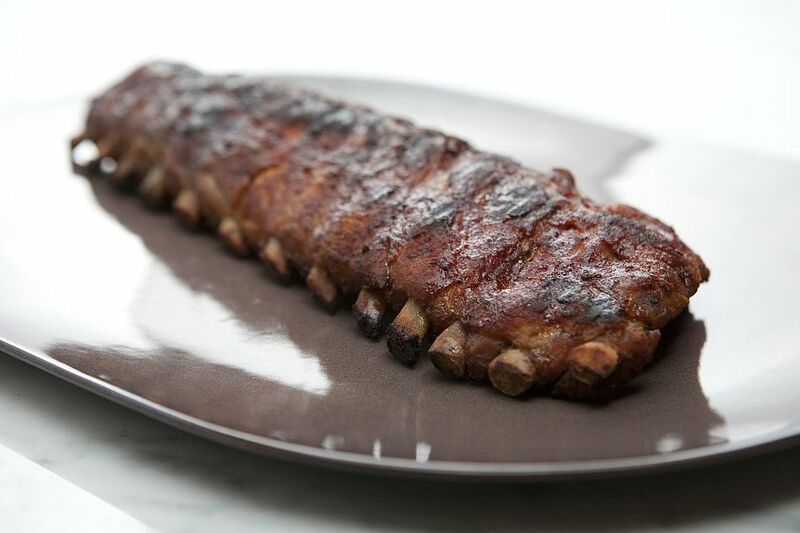 These glazed bourbon pork ribs are simply fantastic. Give these ribs a try at your next summer cookout or game day festivities. Combine all the sauce ingredients in a small saucepan until brown sugar is dissolved. Remove sauce from the heat and allow to cool for about 10-15 minutes. Remove membrane from back of ribs and any extra fatty pieces. Place the ribs in a large dish. Cover ribs with half of the sauce and allow to marinate in the refrigerator for 5-6 hours. Reserve the other half of sauce for later. Remove ribs from the dish, reserve marinade. Place the ribs on the grill and allow them to cook for 20 minutes, turning once. Cover ribs loosely with foil and cook for an additional hour and a half. Once ribs reach an internal temperature of 165 F, remove from heat, place on a cutting board, and let ribs rest for 5-10 minutes. Carefully open foil packaging and discard. Heat reserved sauce, brush some over ribs, and carve. Serve the remaining sauce with ribs.